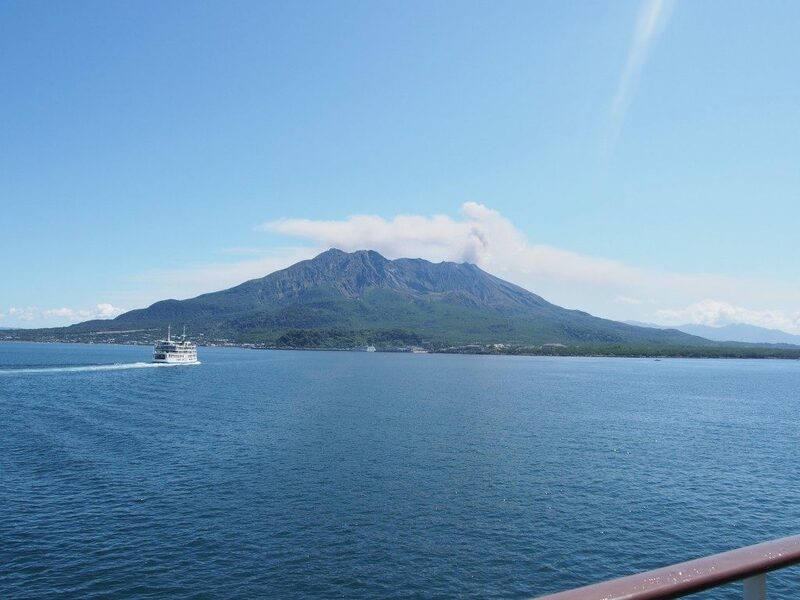 Sakurajima Ferry Yorimichi Cruise | Kagoshima Love! 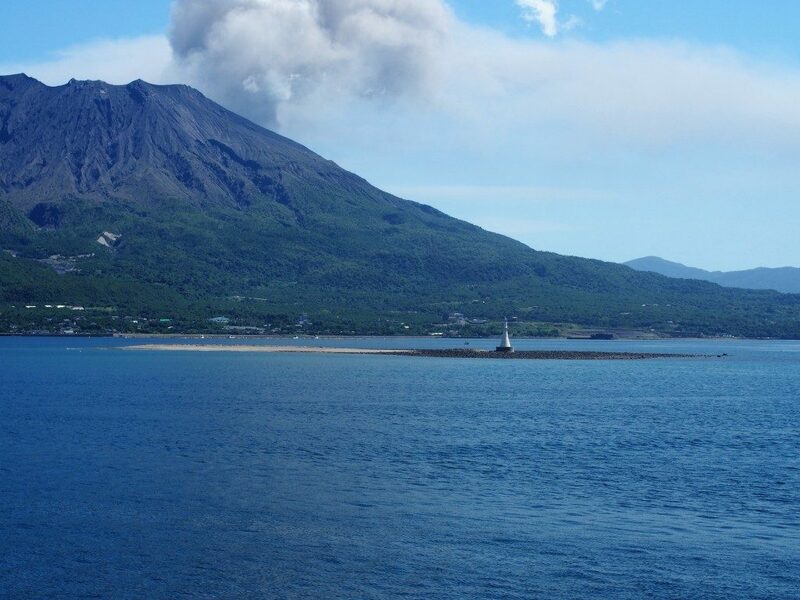 Yorimichi Cruise is the about 50 minutes cruise from Kagoshima City to Sakurajima. Normal Sakurajima ferry takes only 15 minutes from Kagoshima City to Sakurajima. 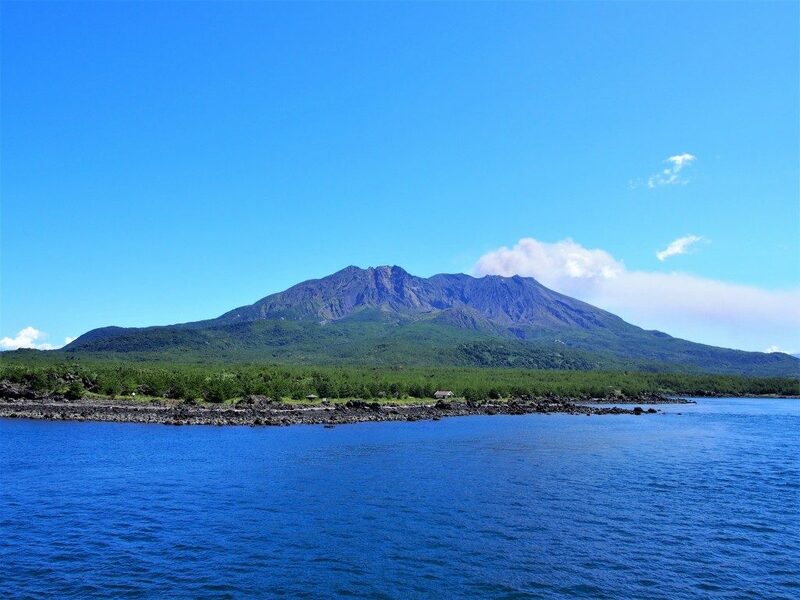 However, Yorimichi cruise will delight you with various beautiful view of Sakurajima and Kinko Bay. Why not take Yorimichi Cruise? I took Yorimichi cruise in a pleasant sunny day of autumn. 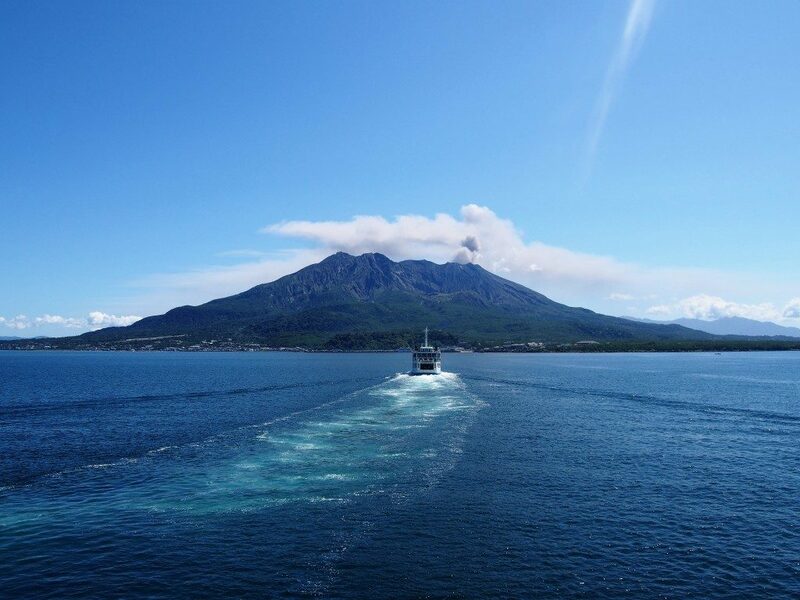 Sakurajima ferry runs between Kagoshima City and Sakurajim in 15 minutes for 24 hours. Yorimichi cruise started its history from 2011. It departs Kagoshima City at 11:05 every day. Please see the course of Yorimichi cruise as shown at the following map. If you are lucky, you can see dolphins! You can buy the ticket of Yorimichi cruise 1 month before the cruise. If you buy the ticket at the day of the cruise, it is wise to buy it until 10:45. I took my car to the Yorimich Cruise to enjoy driving after arrival at Sakurajima. You can buy ticket as shown by the red arrow at the following picture. 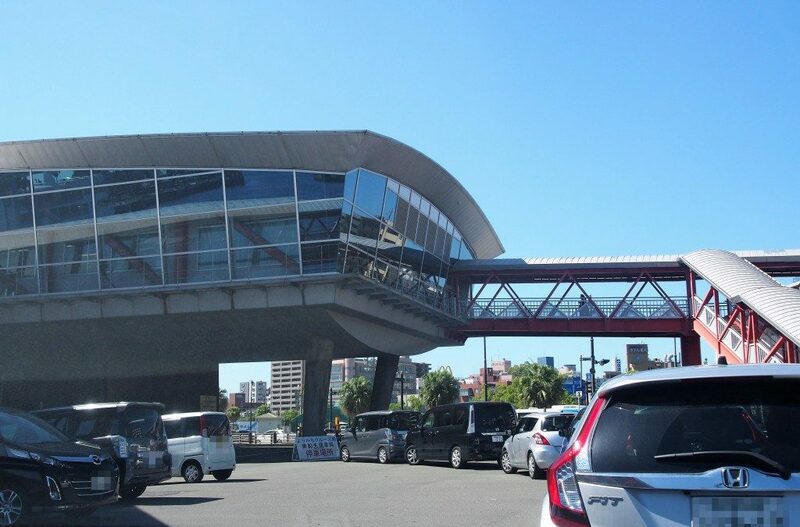 Please be noted that the ticket fee is only half-way from Kagoshima City to Sakurajima. 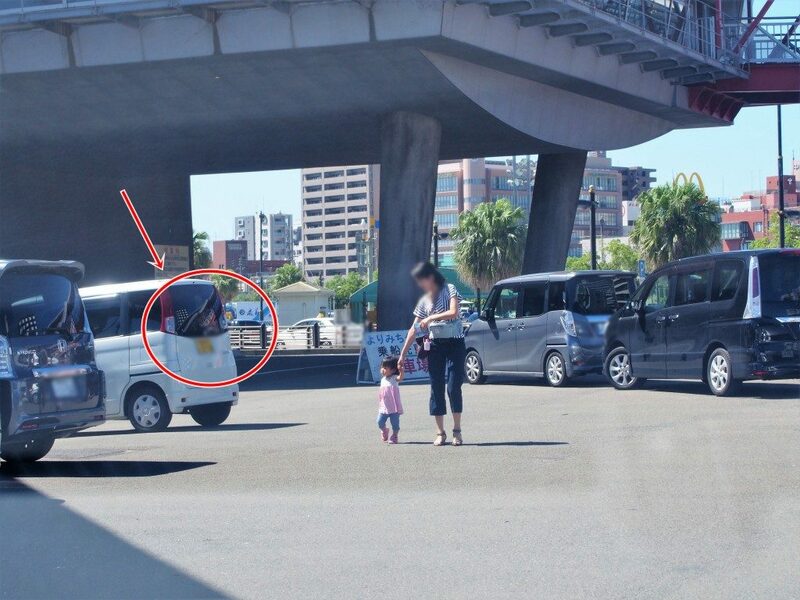 Local people enjoy udon noodle when they took Sakurajima Ferry. 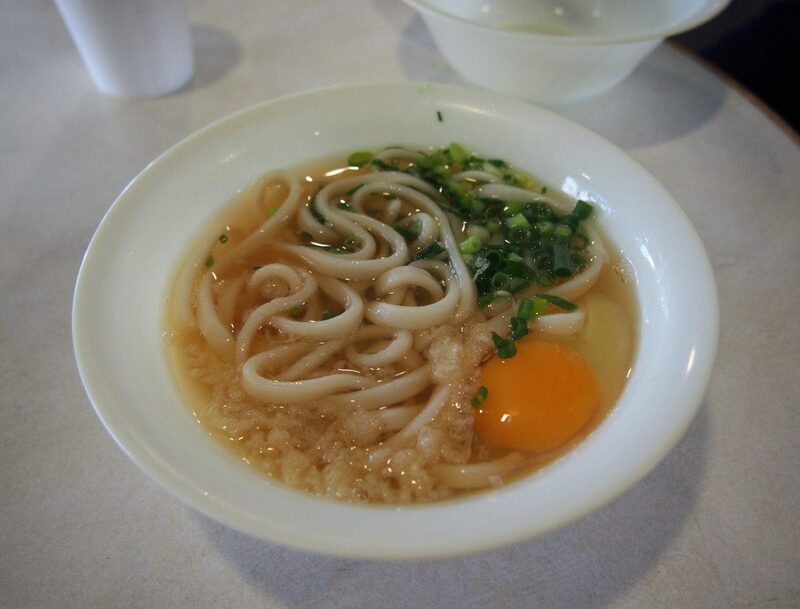 You can also enjoy the noodle at Yorimichi Cruise. The weather was lovely when I took the cruise. I recommend you to check the weather forecast and the wind direction before taking the cruise, so that volcano ash won’t hurt your eyes. Blue sky and rocky surface of the volcano make the beautiful contrast. 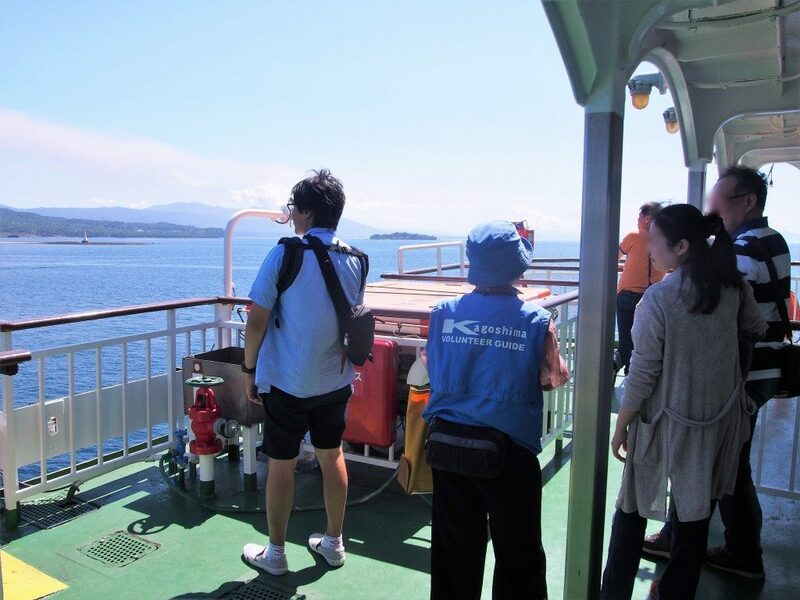 Special guide are stationed at the observatory deck to make explanation of Sakurajima for you. Steam comes out from the volcano before its eruption as the following picture. Kanze is the beach which only appeared at the low tide. The height of the lighthouse is 18 meter. (Its light reaches 24 km away). Satsuma domain fortified Kanze with stone walls to battle with the British navy in 1863. Taisho Eruption in 1914 created an enormous amount of lava and the strait between Kagoshima City and Sakurajima got narrow. This made the tidal current of the strait faster and washed away stone walls. I edited the following video to tell you about the wonderful view of the cruise. 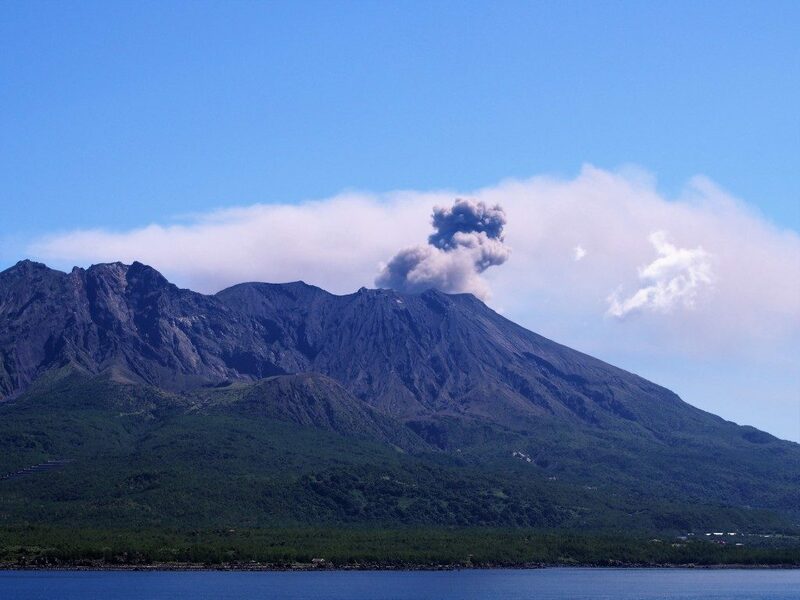 Massive Eruption of Mt.Sakurajima! The smoke reached 3,300m! Typhoon HALOLA coming to Sakurajima in Kagoshima, Japan! Japan Volcano Erupting! Mt.Hakone and Mt.Sakurajima!